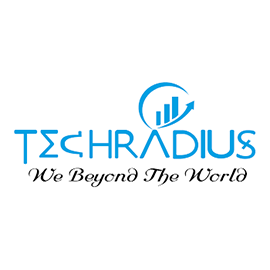 Techradius Hitech Pvt. Ltd.(OPC) is one of the leading companies that achieved a lot of client good response as well as user feedback. Their main goal is to ensure that every business enterprise should get access to Web Technologies to reach out to millions of people. By offering outstanding quality services TechRadius has achieved great success within one and half year and have created a high-status background in the field of market. Their company has a well-skilled developer, technical experts, technical staff to provide quality product and world class services to its clients. Techradius is one of the leading companies in the field of Web Application Development, Mobile App Development, Web Hosting, Software Development, Portal Development, Digital Marketing, Search Engine Optimization, Social Media Marketing. Techradius Hitech is looking for a Graphic Designer in Jaipur, India. If you meet the requirements below, you will be eligible to apply via Digital Marketing Community. Run wireframes, storyboards, user flows and process flow for company and client projects. Plan fresh, unique, and high-quality graphics and logo designs. Operate on design tools like CorelDraw, Illustrator, Photoshop, InDesign, 2D Graphic Designer. Improve highly creative and unique mockups and designs for websites and mobile applications. Regularly backup and update work and coordinate with remote teams/clients. Execute and customize print media banners, flyers and documents for various business verticals. Serve on tight deadlines and multiple projects simultaneously. A degree in IT and computer science. Minimum 2 years of relevant experience in IT domain. Effective experience in CorelDraw, Illustrator, Photoshop, InDesign, 2D Graphic Designer. Expert knowledge of digital/print advertising, high impact media units, and web standards and best practices. High level of creativity, attention to detail and efficiency while working under tight deadlines and on multiple projects simultaneously. Highly punctual and self-motivated team player who is willing to dedicate extra efforts to meet urgent project deadlines.